Well, I’ll tell you. I am a Vikings fan, but that’s not it. Sometimes I’ll smoke a cigar and think, this is pretty good, maybe I should review this one. But time goes on, the Vikings lose again, and the inspiration simply isn’t there. But there are times when the spirit moves me, when I feel called to review a cigar because it is distinctive and exceptional and it just isn’t getting the attention it deserves. I can say that is the case with nearly every blend I’ve smoked from the House of Emilio. The Nomad and Rodrigo blends are members of that esteemed House, which distributes and promotes some of the finest boutique cigars in production today. 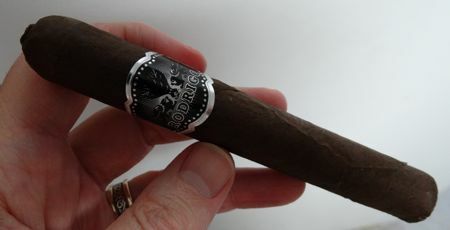 The S-307 Robusto is square pressed with a mottled, fairly dark colorado maduro wrapper. The roll is solid and it draws well. It’s a nice looking stick, and it burns evenly, which is always a pleasant surprise in a pressed cigar. The long, solid gray ash is another bonus. Overall construction: Excellent. The cigar opens with leather on the nose and a long peppery finish on the palate. The pepper diminishes after the first inch or so and it develops a sweeter profile: cocoa and caramel over an earthy foundation. The S-307 is a medium bodied cigar with considerable complexity, and after the first bout of pepper the smoke is quite smooth. 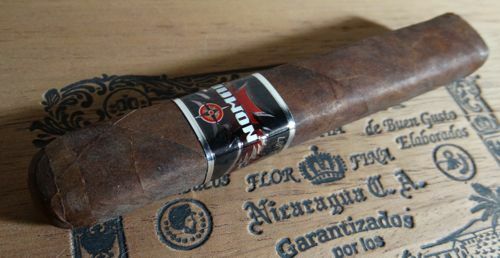 It’s a little less boisterous and a little less tannic than the typical Nicaraguan cigar, which allows the flavor development to go in a more interesting and unexpected direction. There aren’t too many cigars that can balance leather, earth, and sweetness this well. A very nice smoke. The Boutique Blend G4 has the smallest ring gauge of its brethren, but it’s still a big ol’ cigar. The rough colorado claro wrapper is set off nicely by its red and gold band. The roll is solid and the head is finished with a workman-like rounded head. It draws well. It burns evenly. It’s made the way every cigar should be made. Overall construction: Excellent. The Rodrigo Boutique Blend is smooth with a creamy texture. The foundation flavor is woody with just enough tannin to provide a nice pucker on the palate. The aromatics are cedary with some baking spice accents. As the cigar progresses to its conclusion it passes through the woods into earthier territory, but the cedar on the nose lingers and blends nicely through the transition. It’s a fairly mild cigar, a suitable cap to a luxurious breakfast. 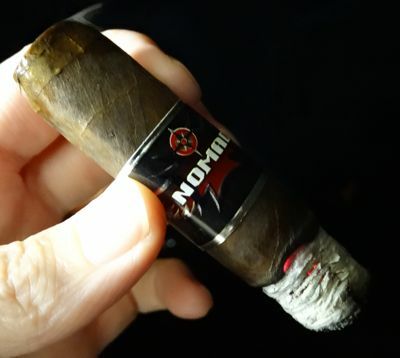 The Nomad S-307 and the Rodrigo Boutique Blend are two totally different types of cigars, so there’s no comparing them except in terms of their overall performance, which is exemplary in both cases. The S-307 was the more interesting cigar for me, but it’s a slightly heavier smoke with more flavor resources at its disposal. The Rodrigo Boutique Blend is just as distinguished in its class. 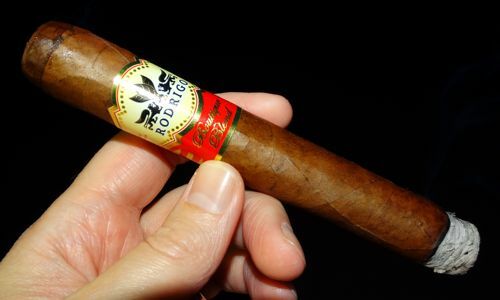 There is no reason to reach for one of the industry standard Connecticut-shade breakfast smokes if the Rodrigo is an available option. These are both great smokes, and both are highly recommended. Well, if it isn’t another San Andres Maduro cigar! Lucky for me, I can’t get enough of them. This entry is a recent blend from Ezra Zion, introduced last year at the annual IPCPR show. The initials stand for “Fathers of Hoover and Kelly,” owners of the company. The FHK is in the company’s “Honor Series,” so naturally this cigar is made in tribute to those gentlemen. The lancero-sized “Truth” is a well-made and attractive cigar. The bands are appropriately elaborate for a tribute cigar, and they set off the rusticity of the maduro wrapper. The foot band peels off easily. The roll is firm, as is the draw, but this does not inhibit smoke production in the least. The head is nicely triple-wound and the cigar burns evenly for the most part. The “Truth” opens smoothly with coffee flavors and a slightly sweet chocolate on the nose. (In this case, the Truth does not hurt.) The smoke texture is dense and chewy, a perfect accompaniment for the richness of the flavor. The centerpiece of this cigar is its wrapper, but the fillers provide an earthy and at times herbal foundation which blends well with the aroma. In the last third a moderate spiciness enters to keep things interesting. Ezra Zion’s FHK lancero is smooth without being simplistic — it reminds me a little of the Emilio AF-1, perhaps with a little more complexity. A delicious smoke for lovers of San Andres Maduro, and for maduro smokers generally. 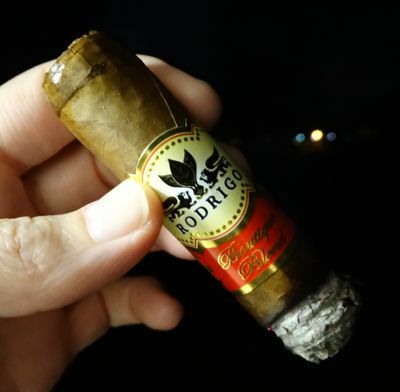 Based on the name of the blend I anticipated that the Rodrigo Fortaleza blend would be a powerful smoke, but I was surprised by its complexity. Most cigars in this class lean heavily on the pepper and char and not much else can break through. Not so with the Fortaleza. The Ecuadorian wrapper is dark, darker than some maduros, and thick, with some prominent veins. It’s slightly weathered in appearance and the seams are boldly apparent. Between the name of the cigar (meaning fortress, or strength, or resolution) and its rough-hewn appearance, the “Forte” strikes a formidable pose. The pig-tail cap is a mark of careful execution and the cigar is otherwise firm, though a tad bumpy. The draw is excellent. The only flaw might be an uneven burn, but I would almost expect that from a tough guy like this one. The initial burst of black pepper is nearly a foregone conclusion. “What did you expect?” it seems to ask. “Gardenias?” The pepper is accompanied by sweet charcoal on the nose and a long finish with an earthy aftertaste. But as the cigar burns the pepper dissipates and some surprises are unveiled. Cedar and coffee are unexpected guests. They’re like your favorite aunt showing up on poker night with a case of your favorite microbrew. Unexpected, but welcome. The Forteleza’s strength (if I can put it that way) is still power, but it’s not a monotonous power. 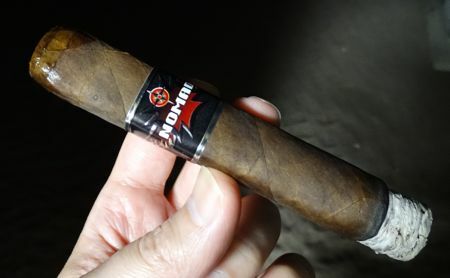 I’m not sure I could handle this in a churchill or toro size, but the robusto was a nice little punch in the gut, and it is surprisingly sophisticated. Ezra Zion’s FHK is a step up in strength from the Emilio AF-1, and Rodrigo’s Fortaleza gives the crank another turn. They’re all great cigars, but if I keep going in this direction I’m going to get myself in trouble. Next up will be something a little milder.